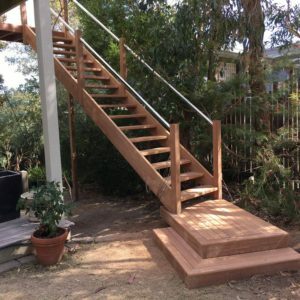 Open full-stringer staircase with treated pine stringers and treads and handrail in Spotted Gum. 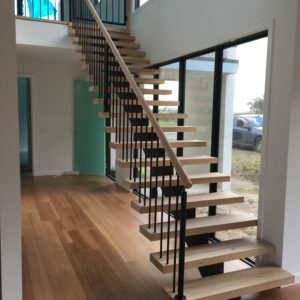 Open full-stringer staircase with Pine stringers and Merbau 2-piece treads. Balustrade includes Pine posts and handrail with stainless wire infill. 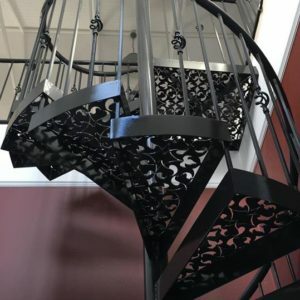 Custom made internal spiral staircases with beautiful tread cut outs. 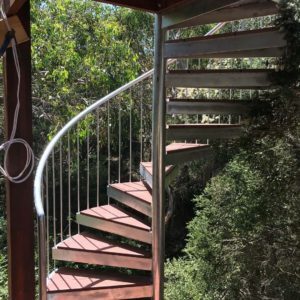 Open full-stringer staircase in select-grade Balustrade consists of 50mm round mirror like polished stainless posts and handrail with stainless wire infill. 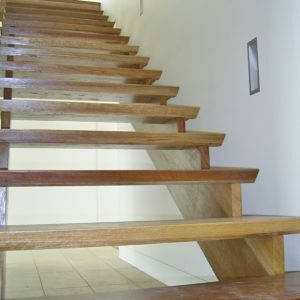 Open cut-stringer staircase, in select-grade Vic Ash. Includes 42mm treads and stringers. Includes a 1/4 landing at the bottom. Balustrade consists of 42x42mm arrissed balusters to ceiling, 70x45mm handrail on stainless brackets. 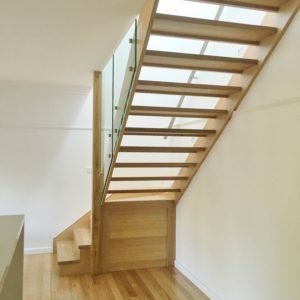 Open cut-stringer staircase in select-grade Spotted Gum. 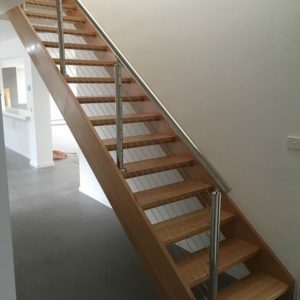 Open full-stringer staircase, in Cumaru with 50mm diameter stainless handrails. Includes 1/2 landing at the top, flush with existing deck, and 2x angled larger landings at the bottom. 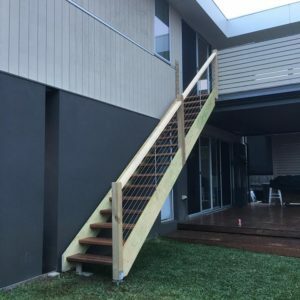 Balustrade consists of 88x88mm posts, 50mm diameter handrail and stainless wires with spacer bars. 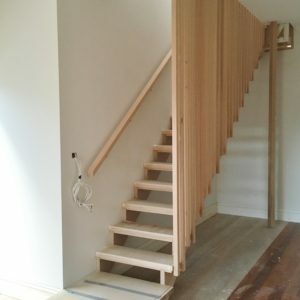 Bottom of staircase is closed full-stringer to wall side and closed cut stringer to open side. Main flight is open full-stringer with 42mm treads with riser beads. All in select-grade Vic Ash. 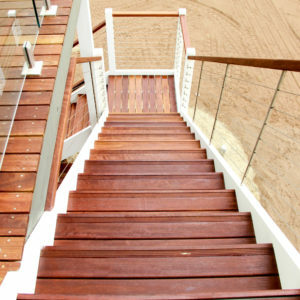 Balustrade consists of glass on stainless patch fittings.